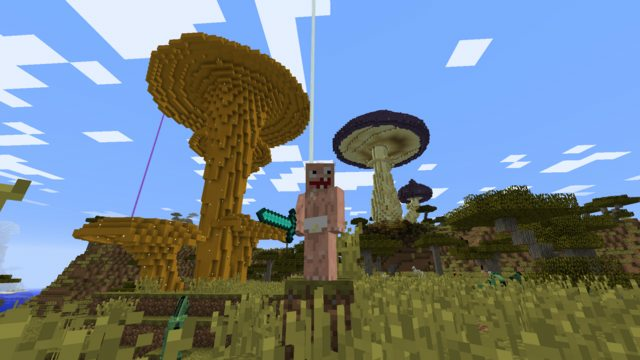 home Home arrow_right Forums arrow_right Minecraft arrow_right Skins arrow_right What was your first self-made skin? Was it terrible? Did it turn out alright? Who did you make it for? Did you upload it anywhere? Do you still have it? I'm curious to see skin creator's very first skins! It was a skin of myself, it had no shading, it was backwards, the eyes were too close together and there was a heart on it's shirt that looked like it got shot by a gun or something. It was horrible. This creepy horrible noob was my first; two year ago! My earliest skinmaking was terrible. I don't have access to it so I'll describe. 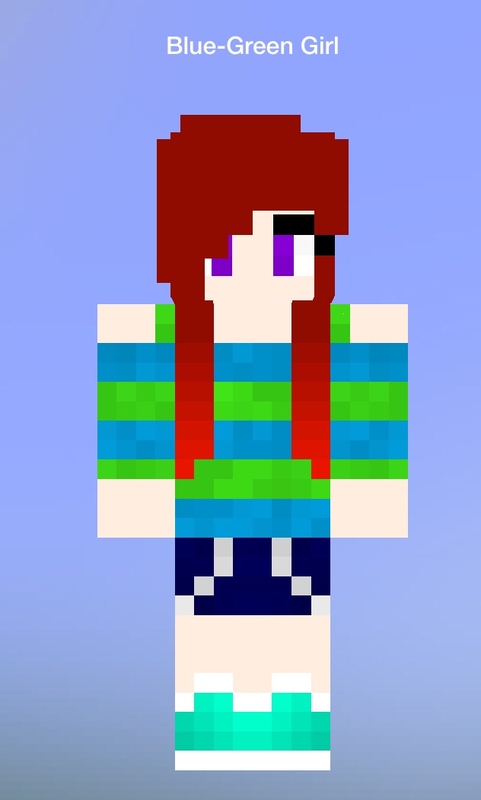 Peach skin, those weird stolen skindex brown hair with shading, either blue or brown 4 pixel anime eyes (Like Kawaii's comment), rainbow striped t-shirt, and neon green headphones. I don't remember the rest, but probably black athletic shorts. I'm not sure if it was my first ever skin I made, but this was the first skin I submitted to PMC. It's jest herobrain with one face looking to the left and the other looking to the right with black eyes crying. 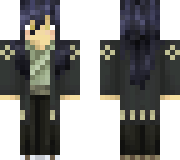 The first skin I made was Black and green girl. I think it turned out good , though I like my second one better Its based of the skin I have now. I had never made a skin before, But Princessbookbear showed me how to do it :). Though I might have play a skin making game when I was 9, I can't remember. 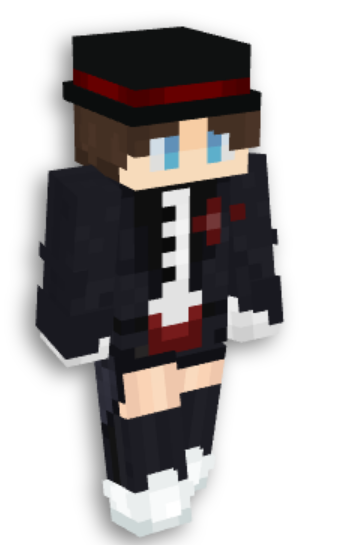 The reason I wanted to make skins was because I wanted to make my own skin, But I realized that I love the skin I have to much and that I'm not that good at skin making. A panda skin was my first ever made skin, Stick with it since 2008! I don't really have the first skin I made anymore. It was a long time ago, before I knew anything about skinning. It was really plastic. (The skin was a personal skin of a guy dressed in blue.) I used it some, but then I decided to use something better quality. I don't have it because I didn't care to keep it and the computer that it was saved on broke down a while back. 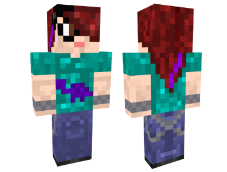 https://www.planetminecraft.com/skin/challenger-rocky/ heres mine :) I had just watched Rocky for the first time, and my friend (DougTheDodo) Started doing it so i tried too! It's not just the first skin I ever uploaded, but also the skin that I use today! this. yes believe it or not this was and is my first and only skin. been a fan of skinning for the longest time and actually learned from observation of other skin creators. People like dragonsdungeon and halucid. when the time came for me to make a skin I was more than just prepared. I made the best possible skin ever. Mine was made for pocket edition, I no longer have it, infact it was deleted. 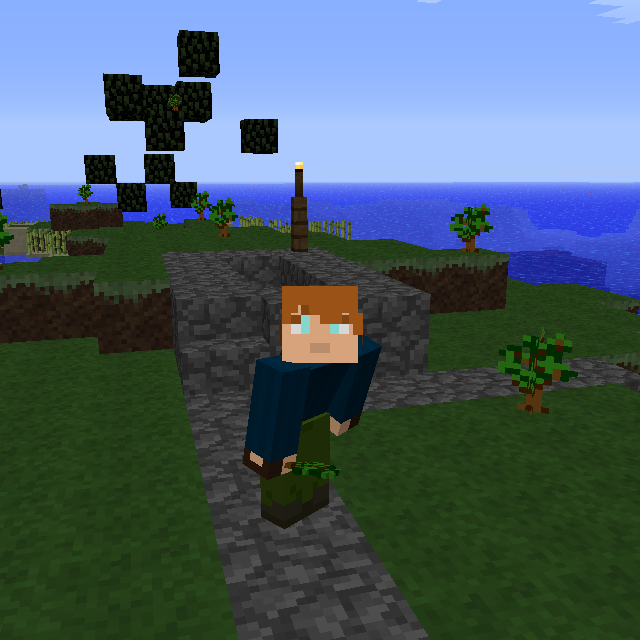 I modded the Steve skin, I can't find it sorry. My earliest (I think?) 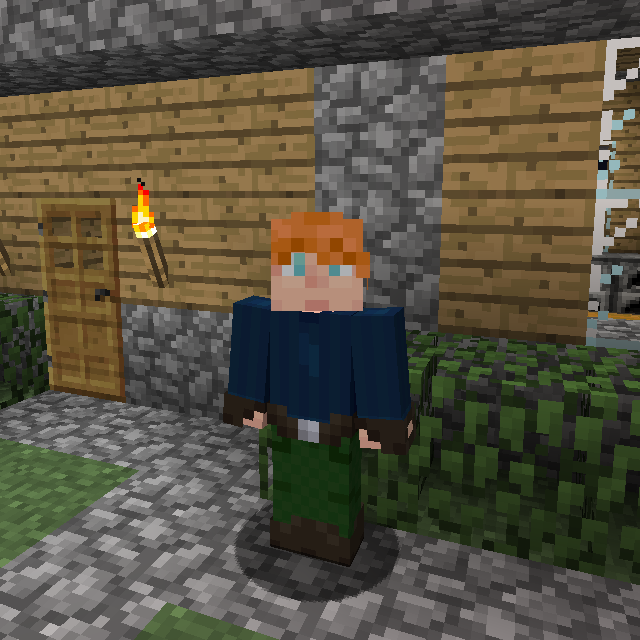 skin was one made for a medieval roleplay server about 3 or 4 years ago. I may have made a few skins before it, but I can't remember them and their files are forever lost. I don't still have but I did a compare and contrast version, where I re-made it on one side. We don't talk about how horrible it was. Ughhhh my first skin? Ew. 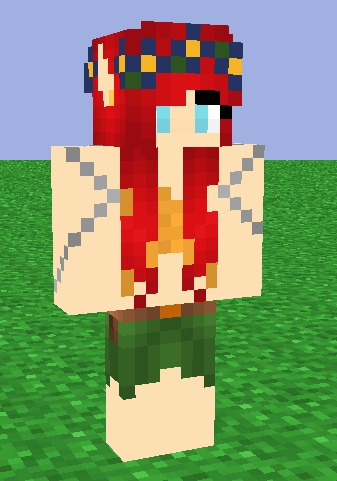 I don’t know where I got the idea for this skin, or why, if it was themed blue and green, I made the hair red﻿. I remember being super proud of the “ombré” hair (it went from dark red﻿ to bright red!﻿) I used noise shading for the shirt because easy﻿, I didn’t even shade the hair, and for everything else I just lighted/darkened the color. Wow, I Love it! Where can I download it? o god that's even worse than my first skin. that's an honor right there my fren.